She was shot in the head, because she stood up for the education of the girls. She is young, brave and a courageous girl. Born in Swat valley of Khyber Pakhtunkhwa in Pakistan in July 1997, she is none, but Malala Yousafzai, ‘a symbol of hope, a daughter of the United Nations’ as called by the UN Secretary General, Ban Ki-Moon. Malala Yousafzai is a young kid but talks like an experienced woman and speaks for children’s rights. Malala started going to school when she was 5 years old. When Taliban started banning girls from getting education, she thought to fight to get the rights back for herself and other children around her. And since then, she never stopped for a moment. She wrote a diary named ‘Gul Makai’ for BBC. She wrote about the circumstances in Swat Valley in that diary. Later on when peace was restored in Swat region, she appeared on many TV channels and published many articles and statements in many local and international newspapers. 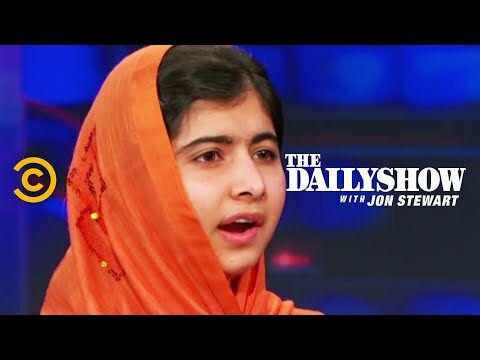 Malala openly talked about the Taliban who were threatening women and were against women education. Malala started becoming a real problem for them. October 9th 2012, a dark day in the history of Pakistan and for the entire world, when she was shot in the head in Swat while coming back from school. The incident shocked the entire world. In the days immediately following the attack, she remained unconscious and in critical condition. But finally she got back her life and decided that she will now fight for women’s right not only in her country, but for the entire world. Malala was the winner of Pakistan’s first National Youth Peace Prize and was later nominated for ‘Nobel Peace Prize‘ in 2013. She also received one of the biggest European human rights prize ‘Sakharov’, previously received by many international personalities such as South Africa’s Nelson Mandela and Aung San Suu Kyi from Burma. Malala is the first Pakistani and youngest person till now to get this prize. She received many other international awards such as women of the year 2013 by Glamour and Women’s rights award ‘Raw & War’. Malala has been named one of the ten most influential people in the world (higher even than Barack Obama) Malala Yousafzai became a worldwide symbol of peace and touched every single child’s heart who is helpless, who is uneducated and who is fighting for basic human rights. She has established ‘Malala Fund‘ to help millions of girls around the world, who are not capable to get proper education. You can also contribute to the fund and become a part of this noble cause. On 10 October 2014, Malala Yousafzai and Kailash Satyarthi were declared as the joint winners of Nobel Peace Prize, 2014. They were selected from a record number of 278 Nobel Peace Prize nominees in the year 2014. With this, Malala has become the youngest Nobel Prize winner till date. Words will always be less to describe this heroic lady. Yet, Malala can be well defined through the lines of Robertson Davies-‘Extraordinary people survive under the most terrible circumstances and they become more extraordinary because of it’.